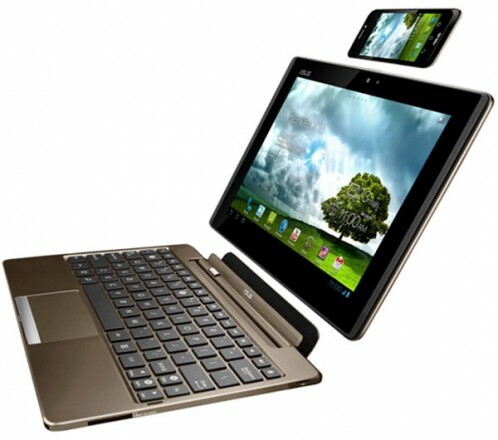 The 3-in-1 Asus Padfone we told you about in February 2012 is now up for pre-order in Taiwan. According to a report from Engadget, the phone alone costs about $610, the tablet dock adds another $240 to the overall price and if you want the whole pack (that includes the optional keyboard docking station) you should be prepared to pay approximately $950-$1,000. Just to jog your memory, the Padfone is a 4.3-inch smartphone that features a dual-core S4 Qualcomm central processing unit clocked at 1.5GHz, a Super AMOLED qHD panel with a native resolution of 960-by-540 pixels, a stylus that surprisingly is also a Bluetooth headset, dual cameras and an Android 4.0 Ice Cream Sandwich operating system. The smartphone can be purchased with a tablet dock that adds more battery life, a bigger 10.1-inch screen (1280-by-800 pixels), a better 1.3MP front-facing web camera for video calls, micro-USB and micro-HDMI ports. Unfortunately, there is still no word on a North American launch.